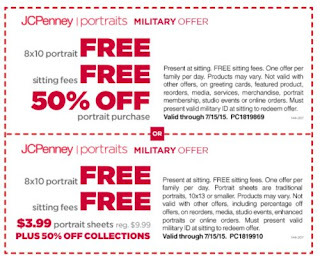 Get a FREE 8×10 with no sitting fee at the JCPenney Portrait Studios (just show your military ID). You will also get 50% off your purchase or $3.99 portrait sheets. This offer is good through 7/15/15.